Safety, that’s the most important thing you have to keep in mind while entering the confusing and dangerous world of traffic. 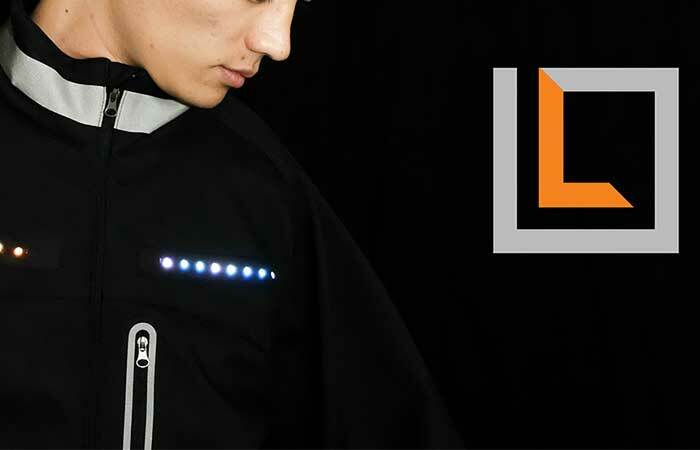 It doesn’t matter whether you’re a pedestrian, cyclist or a motorcyclist, this new and amazing LED illuminated clothes from Lumenus will keep you safe on the road. Lumenus is a company that was founded in Los Angeles in January this year with one goal – to create clothes that will save lives. After almost a whole year of researching and experimenting, they’ve finally done it. On 29 October, Lumenus presented its masterpiece on Kickstarter. The first collection consists of a backpack, vest and two jackets. All of these are equipped with LED lights that can’t be visible until you turn them on. 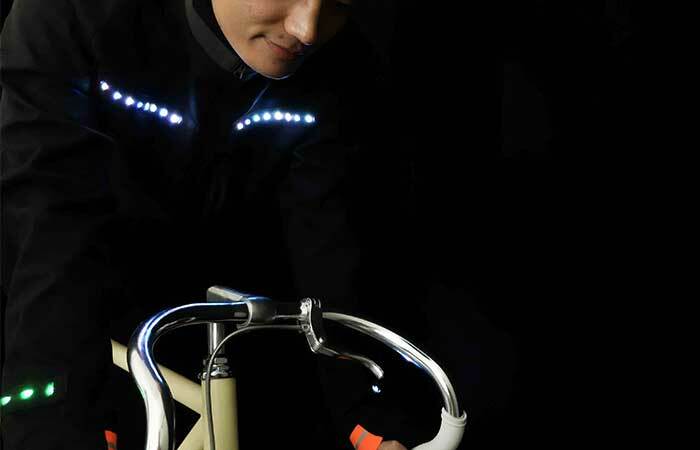 You can always be sure you are safe in traffic with LED illuminated clothes from Lumenus. 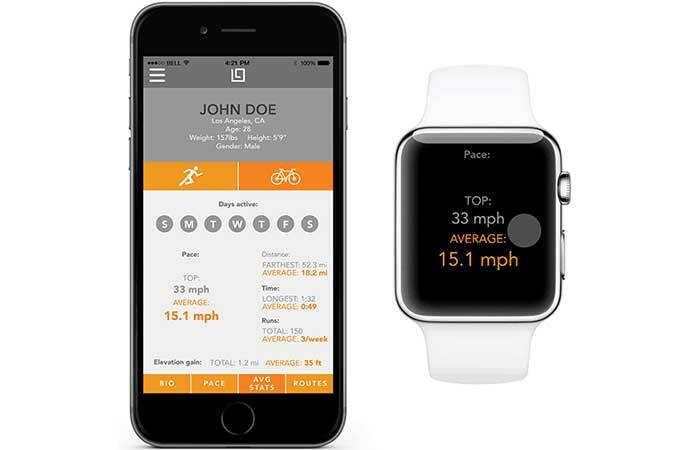 This fantastic patent is activated through the “Lumenus app” installed on your mobile phone. This app is crucial, because it recognizes when you’re slowing down or braking and automatically turns on the lights, keeping you safe from accidents. With red taillights on the back, and white headlights on the front end, these products are designed in a way to mimic a car or a motorcycle. They even have an indicator light, or a blinker so you can announce your turn without having to raise your hand off the steering wheel. These lights actually automatically turn on if you slow down or stop. Design of the Lumenus apparel is amazing because the lights aren’t visible until you turn them on. Jackets and vest look like regular, workout clothes. That means you can wear them during daylight when you go for a run and no one will give you strange looks. When the night falls, you just activate LED lights with your mobile phone and you can safely enjoy your bicycle ride or a relaxing walk. If you don’t turn it on, they are just regular clothes. But, just one click away, you have your own headlights and taillights. Fashion designer and innovator, Jeremy Wall partnered with the “Outdoor tech” team, to create this cutting edge product. Wall got the inspiration for this project from some unsafe moments he encountered on the road. “As a commuter cyclist I have felt unsafe on the roads for years, especially during early morning hours or after sunset. When the sun goes down, my guard has to come up. While reflective elements are essential, they require direct light to illuminate them, which is often too late. Lumenus blends smart active lighting and 3M Scotchlite reflective, creating maximum visibility in all conditions. 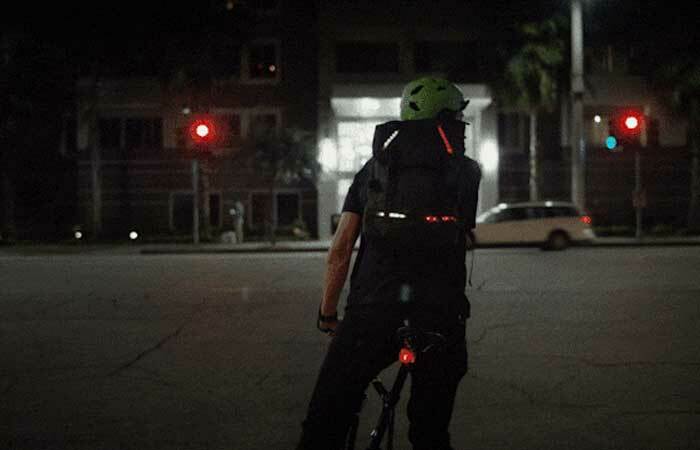 Existing safety gear just isn’t cool, so creating pieces that fit your lifestyle off the road, while saving your life on it, is at the heart of Lumenus,” said the co-creator Jeremy Wall. This first collection of Lumenus LED illuminated products are available on Kickstarter with pricing from 200$ to 350$. This phenomenal product is designed to save your life, so if you want to work out, run or ride a bicycle during night time, this should be the essential part of your equipment.